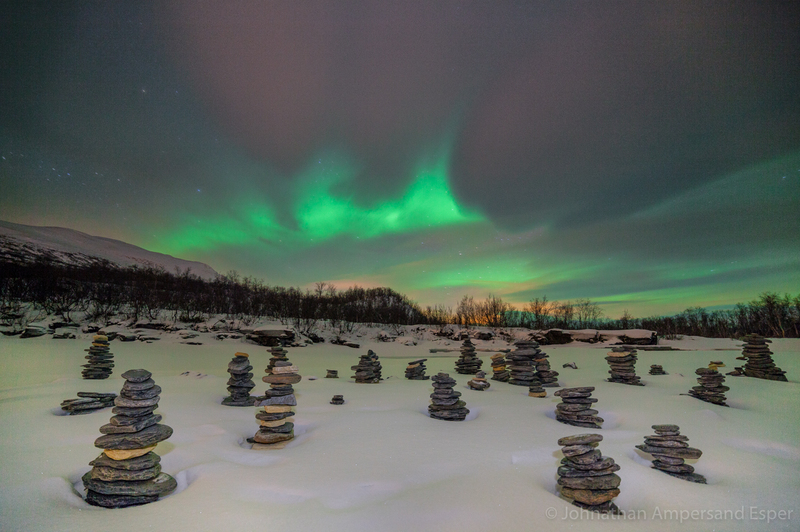 Aurora borealis display over cairn rock piles in Abisko, Sweden. Captured during a solo cross country skiing expedition on the Kungsledden trail in northern Sweden in -30 degree C temperatures. Photo © copyright by Johnathan Ampersand Esper.